Manufacturer's guidelines: from 24 months. 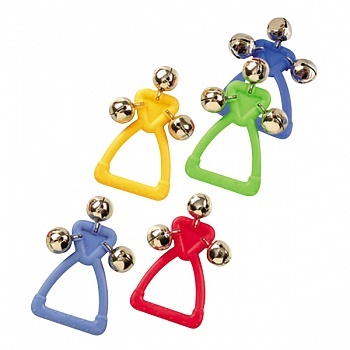 Colourful bell with easy to grip handle for small hands. Bright eye-catching colours (one colour supplied from a variety of colours). Excellent ringing sound from 3 shiny bells.